Exclusive lakefront condo with screened-in porch and view of the 14th green, you are less than a minute from the beach, pool, and The Whales Tail Restaurant! Recently redecorated, you have all the comforts of home! 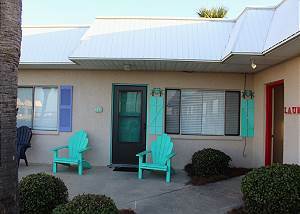 This small complex is handy to the beach and Pompano Joes! Walk off your private deck and you are just steps from the pool. Enjoy the breezes and breathtaking sunsets from your deck as well. 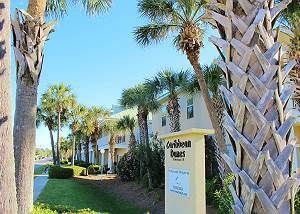 This recently updated condo is located just across the street from the beach. 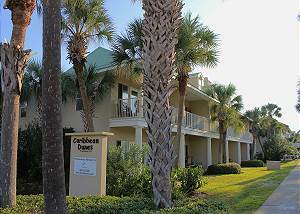 The Caribbean Dunes complex offers a large heated pool and hot tub. The pool is heated seasonally. Saturday to Saturday rental during the peak season! 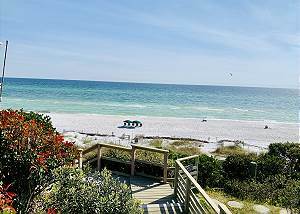 Come stay and play in beautiful Destin, FL. This unit is one of 24 in a setting that is reminiscent of Destin before the "high rises". 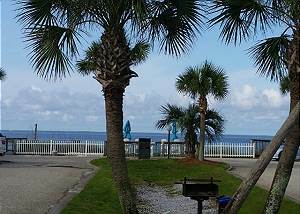 Park directly in front of your unit, and walk out to the beach.